FILIPINO parents usually expect a few things from their kids: academic proficiency, good health and a financially fortuitous career in medicine. And it’s not just a stereotype. It’s many of our realities. But as economically promising a career as a nurse or a doctor is, not everyone is built for the medical field, much less have the inherent enthusiasm for it that others do. And for some Filipinos — especially millennials —  there comes that time when you decide to chase what fulfills you in ways that a career in nursing could never do. Filipino singer and viral sensation Jej Vinson, is one such individual. 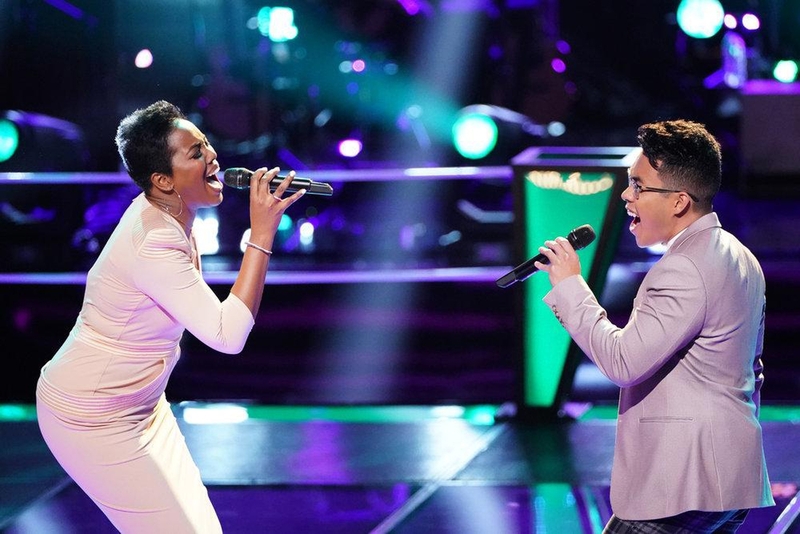 If you’ve watched the 16th season of NBC’s “The Voice” recently, you may be familiar with the young Filipino baritone who wowed audiences and the celebrity judges alike with his rendition of Drake’s “Passionfruit” during the blind auditions. Vinson earned the coveted four-chair turn (wherein all the judges decide to recruit a contestant for their respective teams) and ultimately chose to join Kelly Clarkson’s team. “She’s just so genuine, like the Kelly Clarkson you meet in person is the same Kelly Clarkson you see on T.V. 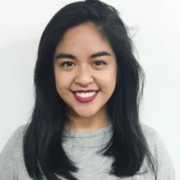 I mean, all the judges are so amazing, but I felt like Kelly would be the best fit for me personally,” Vinson tells the Asian Journal in a recent interview. Born in Davao, Philippines in the late 1990s, Vinson grew up loving music. Between attending his parents’ church choir rehearsals and participating in the Filipino tradition of frequent karaoke, Vinson was introduced to his love of singing early on. “I kind of grew up chorally trained, and then a little bit after that, I started listening to more jazz and R&B, and then when I moved to LA, I started to appreciate more radio-friendly and pop artists, so it’s kind of a mixed bag of influences,” Vinson recalls. At 15 years old, Vinson moved to South Dakota with his family, and when he turned 18, he packed his bags for Los Angeles in search of a career, exploring music more seriously while enrolling into USC, initially studying to become a nurse. But when it came time for Vinson to decide whether or not nursing was for him, he came at an impasse. When all you know in your family is a career trajectory into nursing, it could be uncomfortable, even nerve-racking, to consider something outside of that realm. “It’s kind of weird because a lot of cousins in my family are nurses or people who work in the medical field, but it kinda feels weird for me to study something that wasn’t in medicine because I definitely had that mindset growing up that I would be a doctor or a nurse,” Vinson shares, adding that his parents fully supported his dreams in music. “That year when I decided to go to school for music, there was a lot of doubt within myself but I’m glad that my parents actually supported me. It actually helped lift me up and encouraged me to keep going,” Vinson fondly shares. “I’m really thankful for my parents for supporting me, and they moved to LA with me when they didn’t really need to, so it was really sweet of them to do that, and they’re just always there for me in every way. They really are the best,” Vinson beams. When Vinson made the switch from nursing to music at USC, he joined the university’s award-winning acapella group, SoCal VoCals for which he has served as musical director. Vinson was a part of the SoCal VoCals, who were flown to the White House to perform for former President Barack Obama and First Lady Michelle Obama. 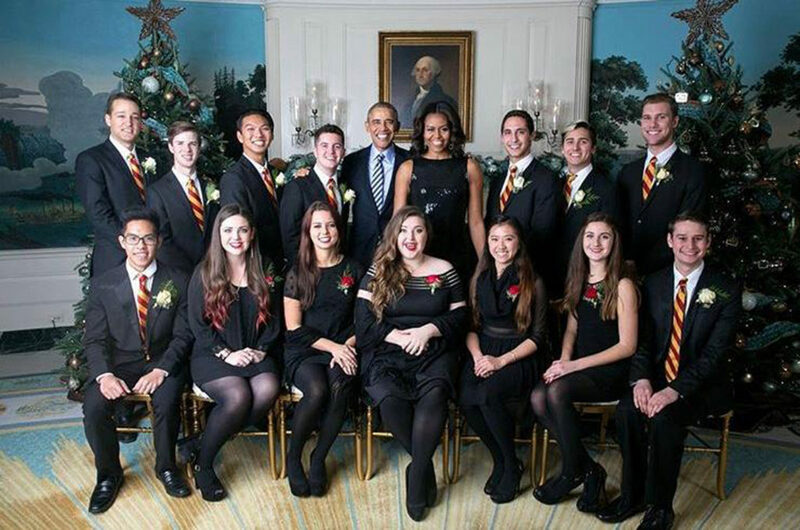 As a part of SoCal VoCals, Vinson and his troupe were flown to the White House where they performed for former President Barack Obama and First Lady Michelle Obama, a memory that remains a high point for Vinson. 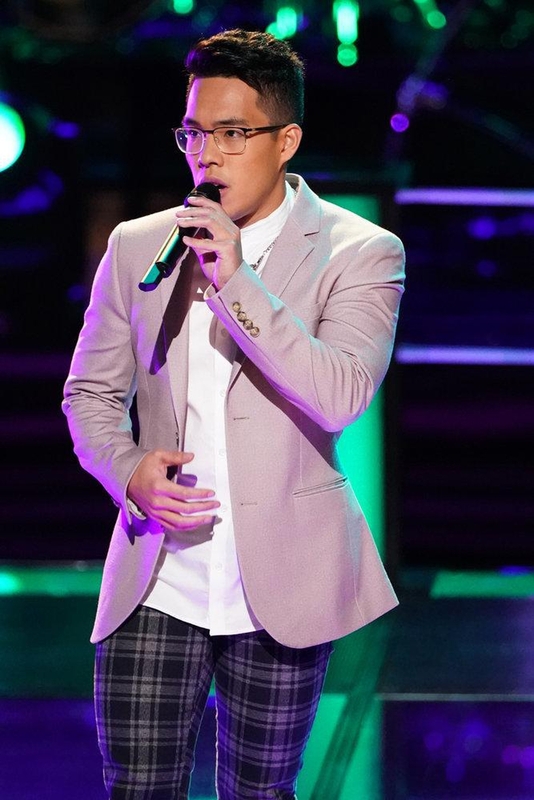 After leaning into a musical career trajectory, performing for a U.S. president and becoming a fan favorite on “The Voice,” Vinson says he plans to utilize his inherent musical talent to forge a career in musical production and performance. In terms of people he’d like to collaborate with in the future, he has his sights set on multi-talented acts like Tori Kelly and fellow Filipino American singer, Bruno Mars. His ultimate goal, however, is a career as an established recording artist with the hope of inspiring other young Filipino Americans. And like many Filipinos and Filipino Americans with aspirations in any kind of creative field, especially entertainment, he had initial doubts that stemmed from a collective cultural mindset that values financially solvent career choices over chasing your passion. Vinson notes the stigma that exists within creative members of minority groups, many of whom have either not or yet to realize their dreams in the entertainment industry. But the emergence of Asians and Asian Americans in mainstream entertainment of the last year has Vinson feeling hopeful that the Asian creative community is finally getting its due.